Create a new custom setting, type Hierarchy, visibility Protected (Develop â€“> Custom Settings). 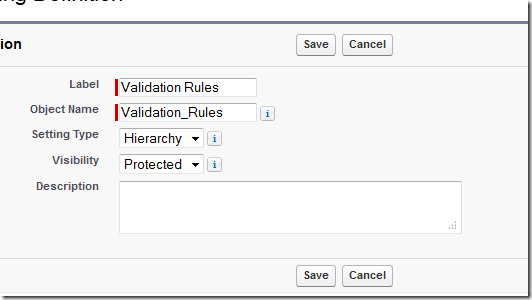 Create a new field (I prefer checkboxes) for a validation rule or set of rules. Notice that Default Organization Level Values are not set by default. This must be set in order for the validation rule to work. Click Manage â€“> New. 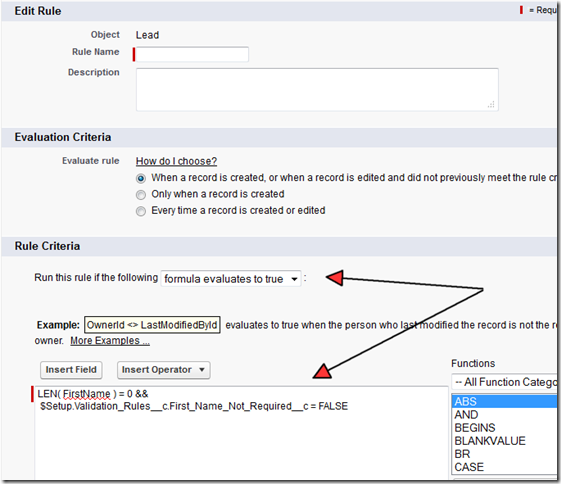 (Optional) Update your list view in your custom setting to include newly created field(s). Your validation rule is now inactive for system administrators. 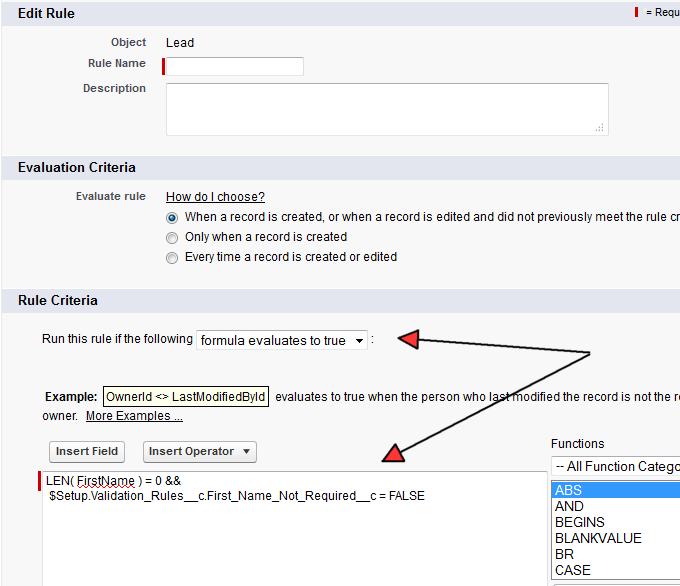 Note that if you want to use custom settings in conjunction with a workflow rule, you will need to set the rule criteria to formula as shown below. I canâ€™t think of any scenario where this would prevent you from doing something that the standard criteria engine allows, but it can make writing the rules a bit more complex. Like stated above, be aware â€“ custom settings do not carry over when sandboxes are created (with the exception of full sandboxes). Make sure to build this in to your sandbox refresh strategy. Another method is to use the user record. I havenâ€™t written a step by step for that, but the process is very similar. 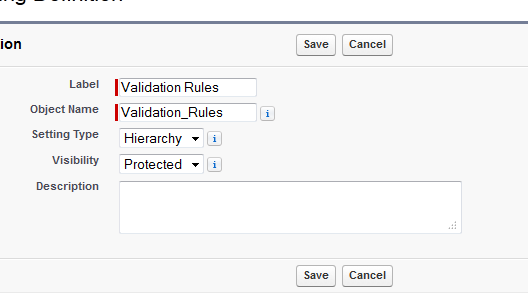 You need to create the checkboxes for exceptions on the user record, and then build those fields into your validation and workflow rules.